In a 2016 interview with The Guardian, Glenda Jackson was described thus: “small and slight, her face crumpled like an old £5 note. She looks out of place amid the glitz of London’s Langham hotel – she smokes and swears like a trooper and, at 80, she is as single-minded as ever.” The actress-turned-Labour politician, who fought fiercely against Thatcherism and Blairism respectively, has never been one to mince her words; whether speaking in the Hollywood spotlight, the backbenches of parliament or while treading the boards. 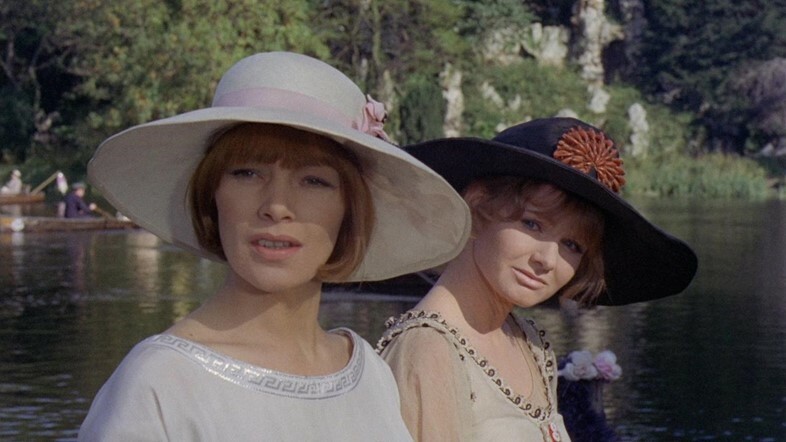 Her most famous role was as artist Gudrun Brangwen, destined for a passionate and ill-fated affair in Ken Russell’s 1969 adaptation of Women in Love, for which she received an Academy Award. In the past year, Jackson artfully subverted Shakespeare by playing King Lear at The Old Vic, garnering rave reviews for a powerful performance and returning to her roots as a thespian on the stage. To celebrate the imminent unveiling of Burberry’s S/S18 collection, an exhibition titled Here We Are is set to open in London. Featuring work by some of the most revered photographers of our age, including Shirley Baker, Karen Knorr and Alasdair McLellan, who co-curated the show alongside writer Lucy Kamara Moore and Christopher Bailey, it promises a nuanced representation of 20th century British life through a lens. 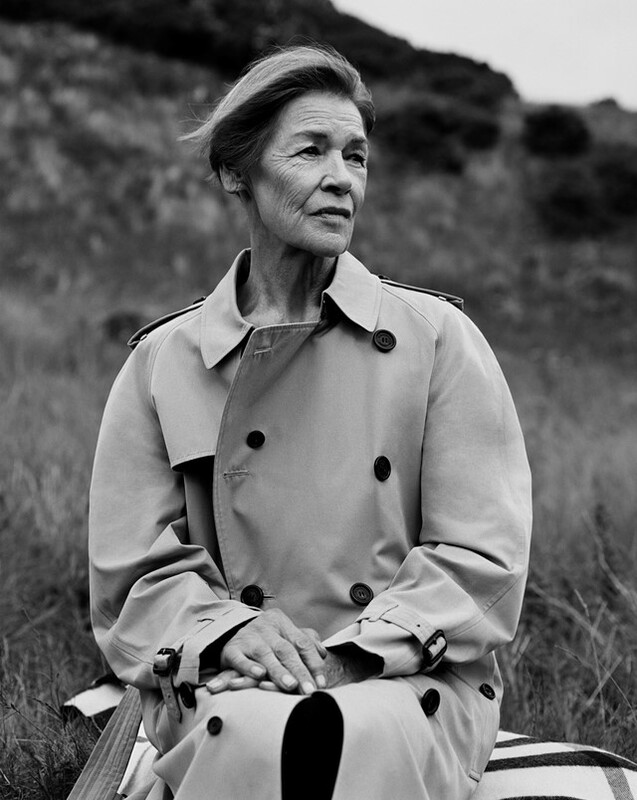 Amongst the images to go on display is a portrait that McLellan took of a windswept 81-year-old Glenda Jackson gazing wistfully into the Yorkshire moors clad in a Burberry trench coat. Fashion seems, as evidenced here, a deserved addition to Jackson’s roster of credentials. Jackson rose to prominence in the 1960s, and the subsequent evolution of her style has been consistent with a woman who established herself during this era. Actively involved with the swinging youth culture synonymous with bohemian London, the young actress sported a beatnik bob and a wispy fringe framing her eyes. Her clothing was very much in keeping with the fashions of the time; double breasted trench coats, leather court shoes and poloneck jumpers lent themselves to her mod aesthetic. Later in life, the actress cropped her hair to fall just above her ears in an ode to the 1920s Bloomsbury set. She wears it the same way now, proving that the adage “if it ain’t broke don’t fix it” is never more apt than when it comes to hair. 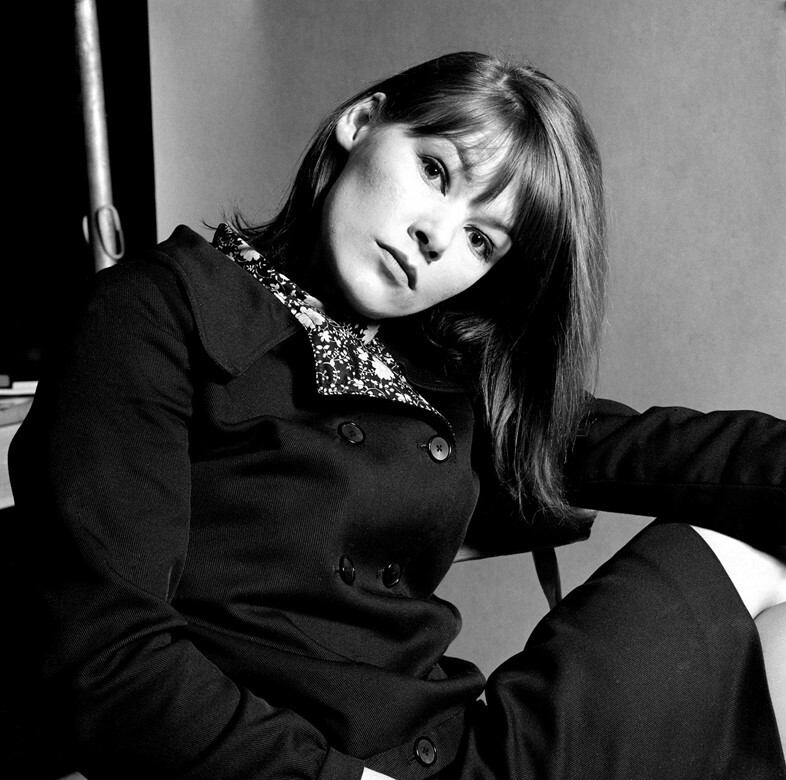 Yet, in 1992, Glenda Jackson announced she would be retiring from acting to enter into the world of politics, becoming the Labour MP for Hampstead Heath. Arguably, the two are not dissimilar professions, and the gravel-toned speeches Jackson delivered in parliament were akin to impassioned monologues. An outspoken critic of Blair, she was strongly opposed to the raising of tuition fees and called for an enquiry into the Iraq War. In April 2013, a few days after the death of Margaret Thatcher, Jackson gave one of the most cutting tirades against the late-politician’s ruthless Conservatism. Attacking her total disregard for the most vulnerable in society, she likened London during the Thatcher era to a “city only Hogarth would have recognised”. Here We Are will run from September 18 until October 1, 2017 at Old Sessions House, London.